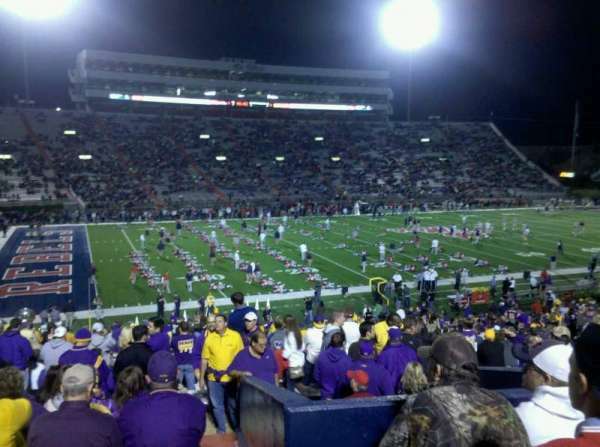 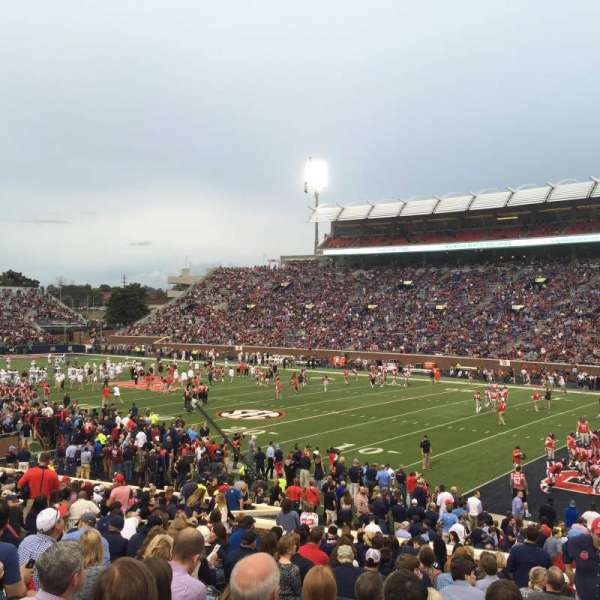 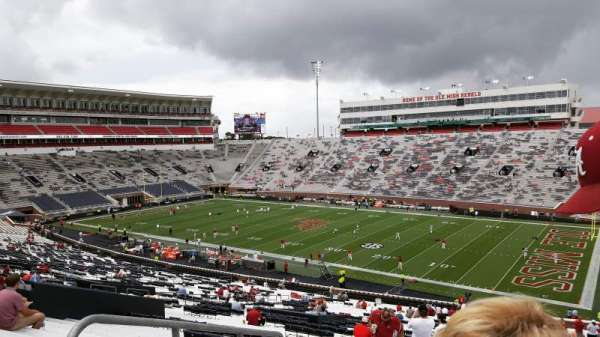 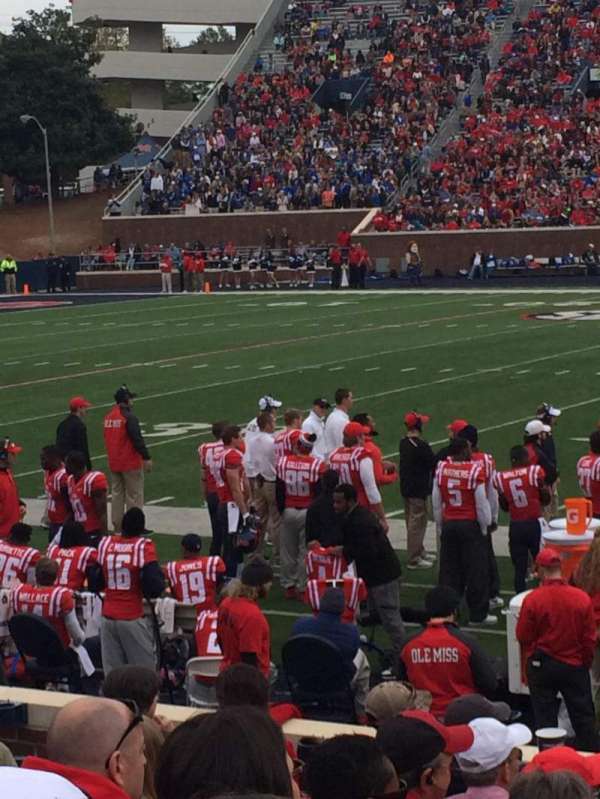 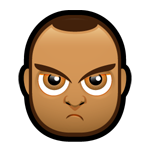 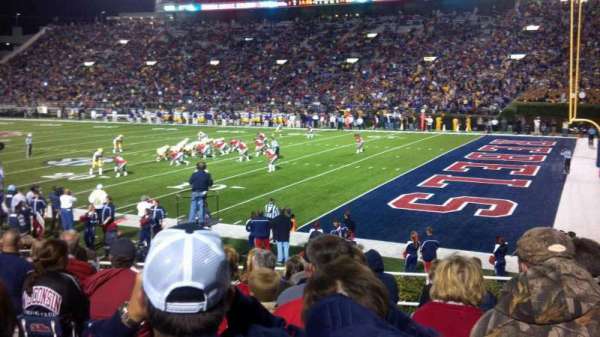 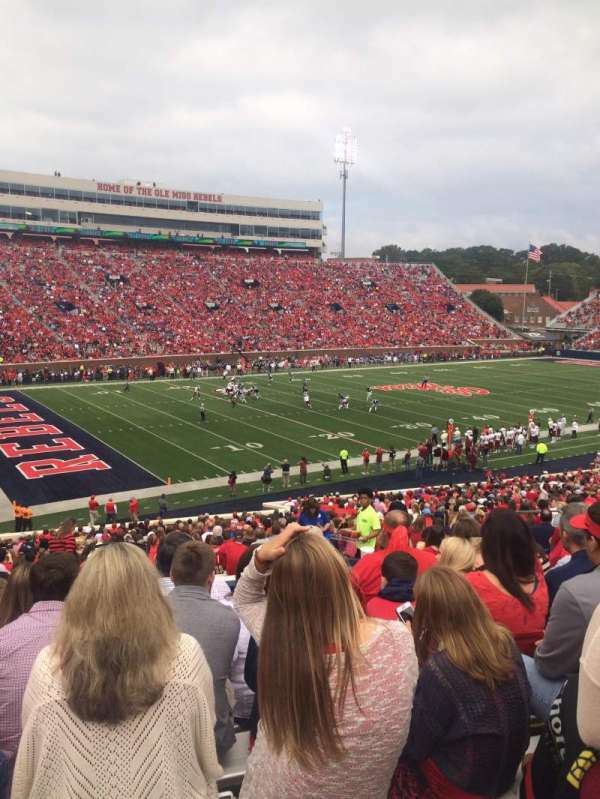 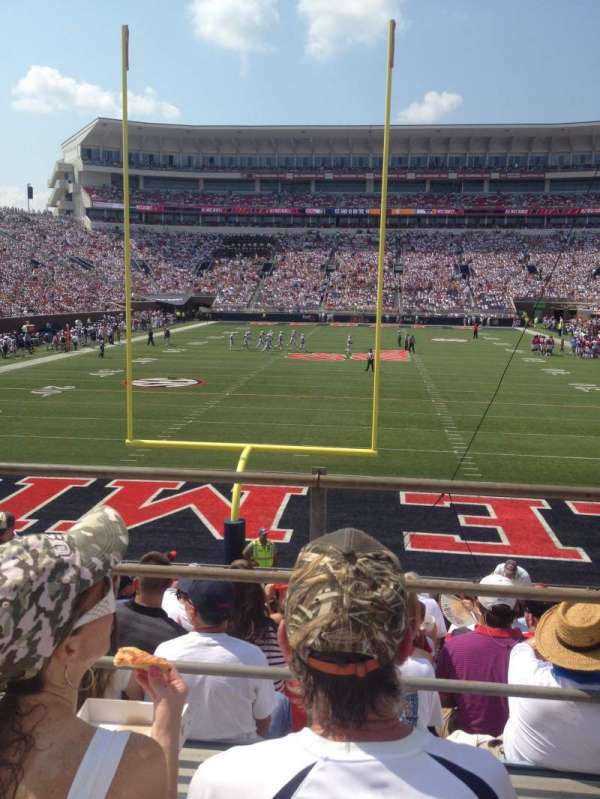 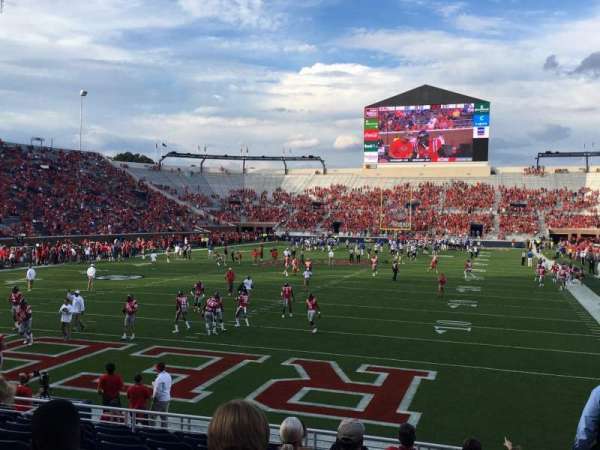 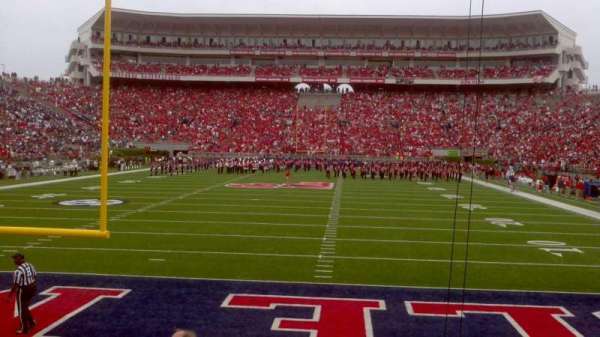 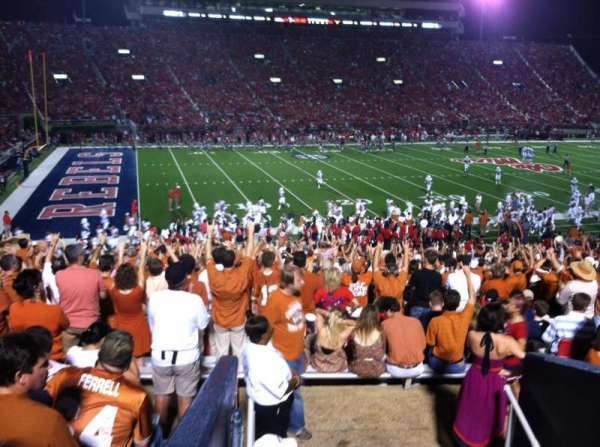 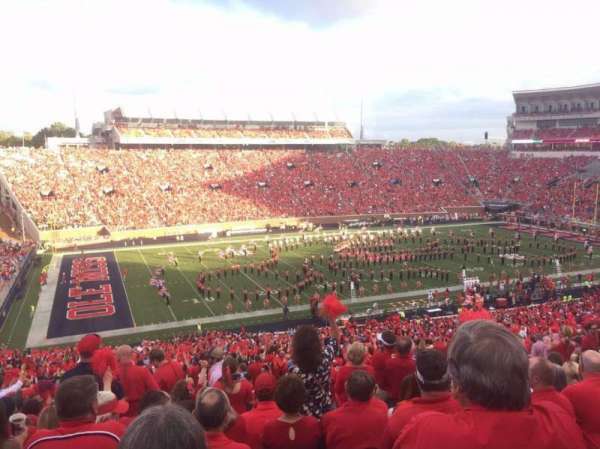 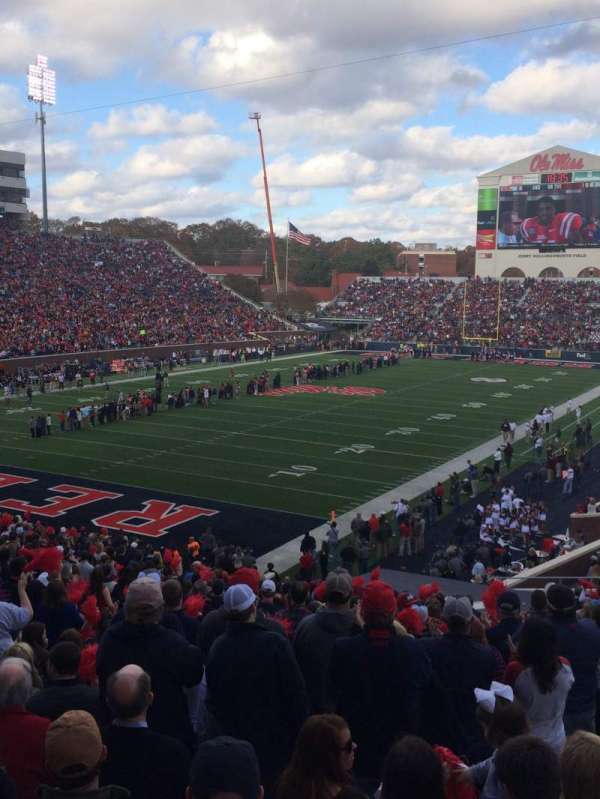 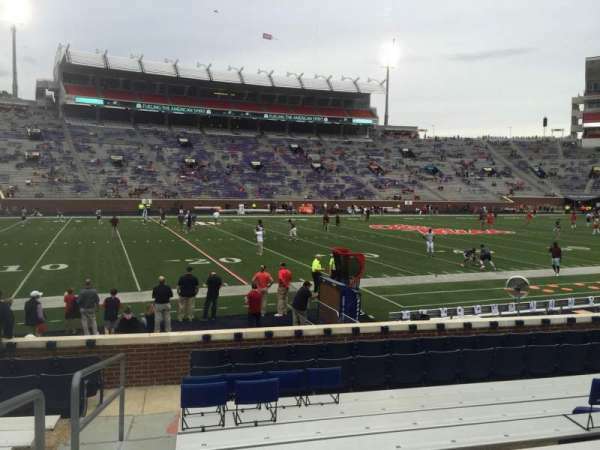 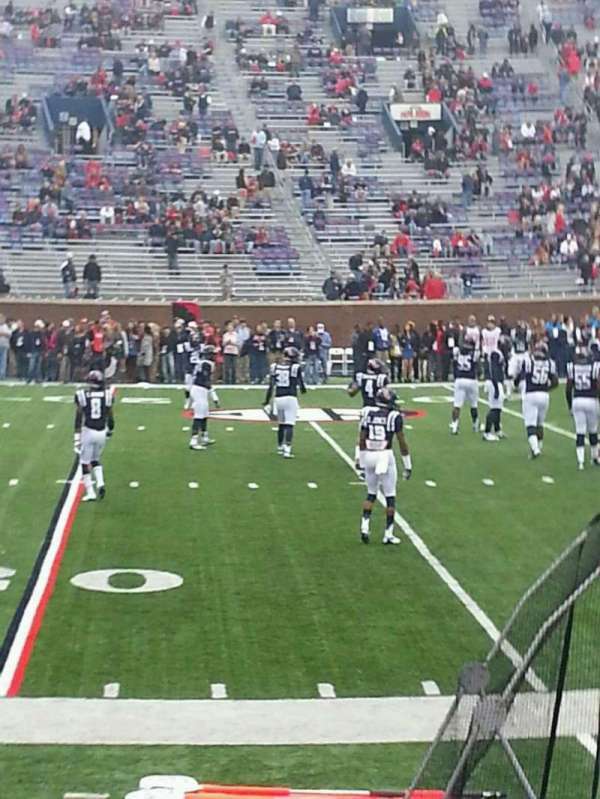 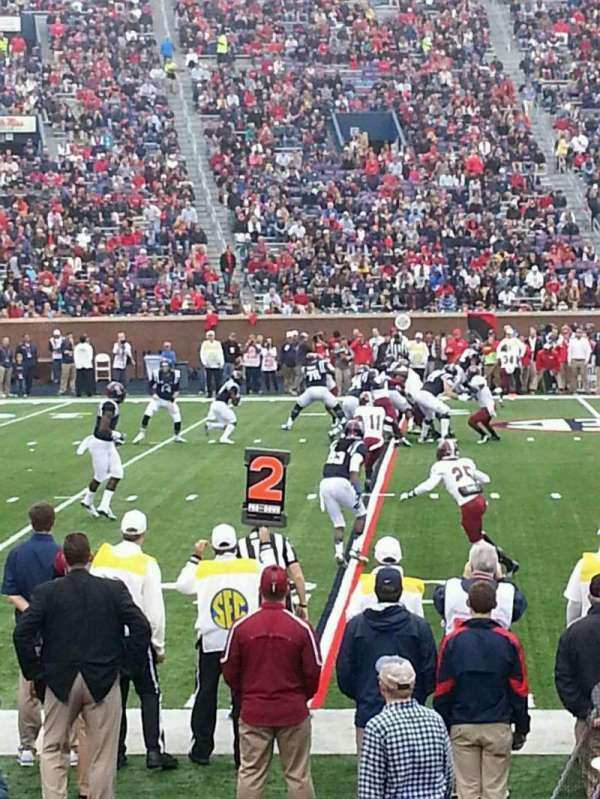 Ole Miss fans were pretty loud for the low capacity the stadium holds. 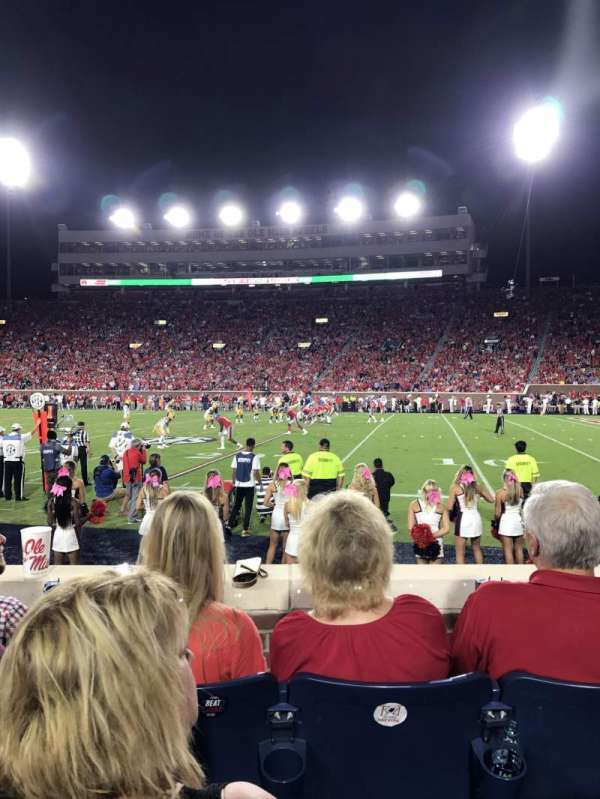 The row is made of bleacher seats with ample leg room. 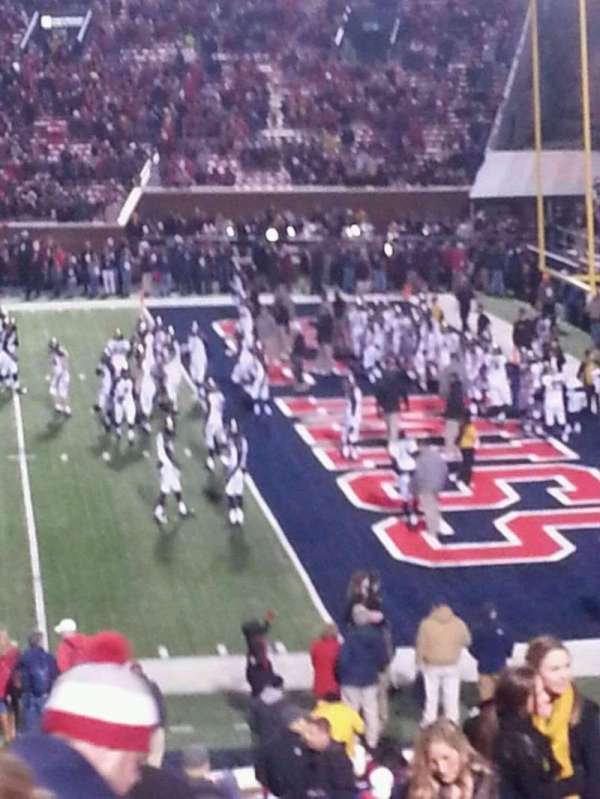 The only real problems were people taking other's seats & student section throwing soda near us.